What Happens If You Stop Going to the Dentist? A lot of people hate going to the dentist. It could be that they associate dentists with pain. Or it could be that they don’t like the idea of somebody putting their hands in their mouth. Or it could simply be the inconvenience of having to take time out their day for a dentist’s appointment. So what would happen if you simply stopped going to the dentist altogether? What if you cancelled all your appointments, deleted your dentist’s phone number from your phone, and simply removed your dentist from your life altogether? Initially, probably nothing would happen. Over time, however, there could be dire consequences. If you have good dental habits such as brushing and flossing daily and your teeth are in relatively good condition, you might not see any consequences from your decision to stop seeing your dentist for months, or possibly years. 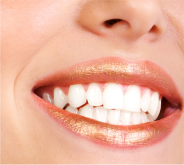 When you take care of your teeth properly, you can see when they are bright and healthy. The problem lies with the issues you can’t see, such as gum disease or cavities that are slowly eroding the integrity of your teeth. If you don’t have a dentist regularly checking your teeth, little problems can become big ones pretty quickly. And if they aren’t addressed with regular dental visits, it can easily lead to painful toothaches and the need for extractions. Seeing your dentist regularly catches little problems before they can develop into something bigger. Things like fluoride treatments, teeth cleanings, and regular inspections keep teeth healthy, white, and problem-free. You might be able to get away without seeing a dentist for a little while. But it’s going to lead to big problems later. A better plan is to keep coming back for your dental appointments and giving your teeth the care that will keep them healthy for the rest of your life.